Pilbara Minerals says it can more than double the capacity of its Pilgangoora lithium tantalum project south of Port Hedland by spending just $207 million. The company recently morning released the findings of a pre-feasibility study on boosting the mine’s production rate from 2Mtpa to 5Mtpa and improving the overall economics of the mine. 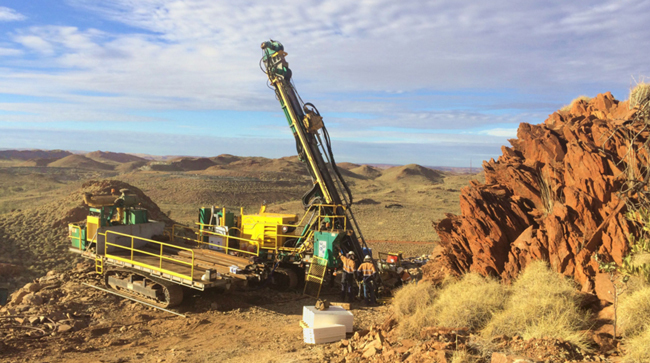 Pilbara is targeting first production with its stage one 2Mtpa operation by the middle of the year, but hopes to complete a definitive feasibility study into the 5Mtpa ramp-up and make a final investment decision on the expansion in the third quarter. Under the plan, construction on stage two would begin in the fourth quarter with commissioning in the final quarter of 2019. The expanded operation will enable production of as much as 800,000tpa of 6 per cent spodumene concentrate, up from the 330,000tpa planned in the $274 million stage one development. Managing Director Ken Brinsden said the logic behind the company’s accelerated expansion strategy was underpinned by growth in the lithium-ion supply chain and exploration which had boosted Pilgangoora’s reserve base to a minelife of more than 40 years at the 2Mtpa production rate. “An expansion to 5Mtpa was deemed to be the optimal production rate to unlock further value in the deposit and maximise the financial returns to shareholders,” he said. The expansion is supported by Pilbara’s Chinese customers General Lithium, Ganfeng and Great Wall Motors. The pre-feasibility study shows the 5Mtpa operation would deliver about $11.5 billion in revenue over an estimated 17-year minelife with life-of-mine EBITDA of $6.5 billion.